Ultrasonic testing uses short ultrasonic pulse waves to detect internal flaws in materials, or to determine the thickness of materials. This technique is used during most inspections and can be applied to almost every asset. Storage Tanks – the floor, shell, roof, sump, nozzles etc. Pressure Vessels – shell plates, end plates, nozzles, etc. 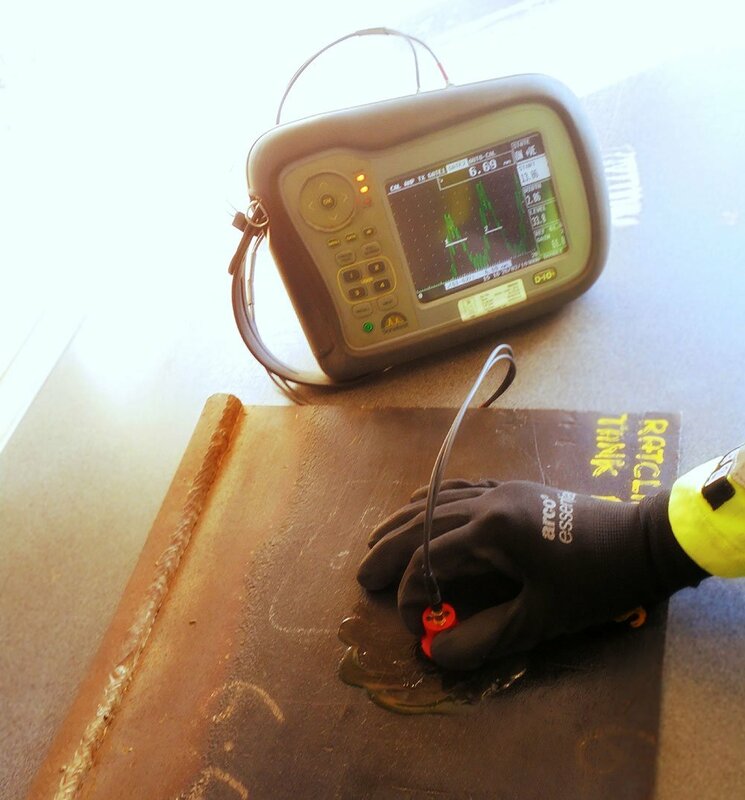 Ultrasonic testing can be used through a variety of mediums, and although copes with surface conditions well compared to other techniques, there needs to be a good contact between the transducer and the material being tested. 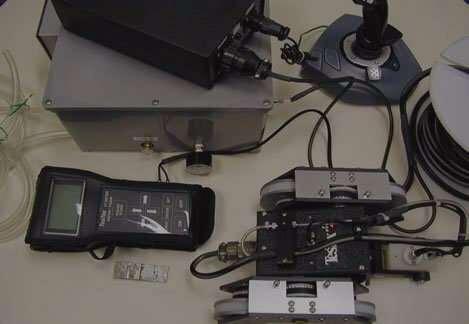 A high amount of surface roughness can reduce the energy being transmitted, resulting in a loss of received amplitude and reduction in detection capacity. Surface coatings such as thin foams are generally transparent to ultrasonics, however thick foams can cause a surface reflections, so should be removed prior to testing. We also provide Shear Wave Ultrasonics which can be used to look for weld defects beneath the surface such as porosity, slag inclusions, lack of fusion, lack of penetration and cracking. Shear wave is often used an alternative to radiography. You will receive a comprehensive inspectors report detailing results and the findings of the inspection. The standard of our reports is just one of the things that makes us stand out in the industry.